Today my blog entry will be very “brief” …. Have you ever contemplated about why so many tube audiophiles claim that class “B” is inferior to their Single Ended designs, working in a Class A ? Well, I suppose that some of this perception may be due to the things that “happen” during those times when the signal “crosses” from positive values to negative values or vice versa. When we operate in class “B”, there is obviously a “hand-over” moment, where one tube steps back, and allows the other tube to do the work. This happens when the signal crosses the “zero volts” border. What happens within this region is something that we could generally call “a cross-over NOTCH”, … notch meaning a disruption, nonlinearity, a step, or something similar. 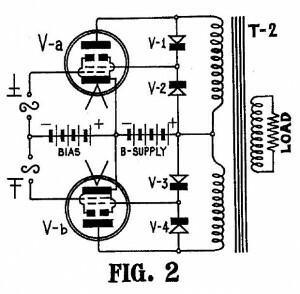 But more – some times, the tube that till recently was heaviliy conducting, is now quickly cutting off … This obviously upsets the current that is flowing through the inductance of the output transformer primary (or strictly speaking: this specific tubes “half” of the primary). The sudden “pentode-like” cut-off causes ringing effects on the parasitic capacitances within the output transformer. 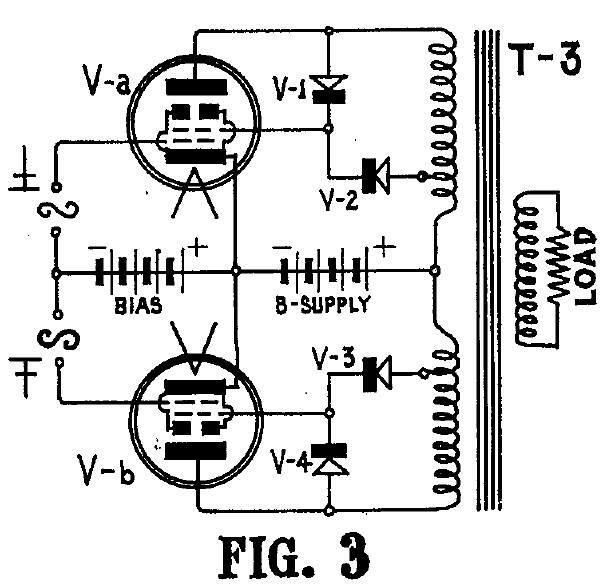 These capacitances start to “play” with the inductance and as a result … some ringing occurs. Not nice. Since this tube is going into a non-productive phase now, it is “switching off” …. why should it do so in a very sudden kind of manner ? Since it is not doing anything reasonable during this period anyway … why should we not convert this tube, … FOR THE TIME BEING … into a triode ? Triodes, as opposed to pentodes or tetrodes, have a soft cut-off characteristic … Well, to be more precise, they to not fully cut off at all. This is good. 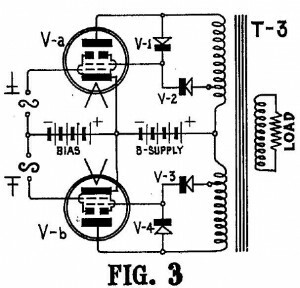 If a triode is not strictly cutting off, so there is a good chance for a partial, or soft-cut-off, taking place, and for a small, minuscule anode current still flowing through it, albeit the fairly high momentous negative value on the S1 grid. 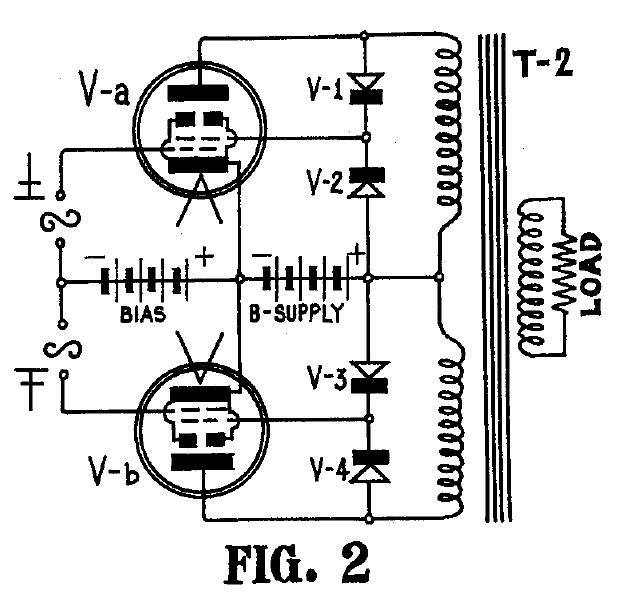 We can hence use such a triode, during the negative (non-conducting) part of this tubes cycle, to replace the hard cut-off pentode, and use the triode, during this cut-off period, so as to “dampen” any parasitic resonances during the zero-volts-crossover by the fact that it never really truly … cuts off.